This is a Navajo Made AZ Petrified Wood and Sterling Silver bracelet. 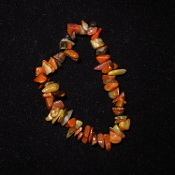 The stone measures 40 x30mm. This item ships free anywhere in the continental USA. This is an AZ Petrified Wood and Sterling Silver bracelet. The stone measures 40 x30mm. This item ships free anywhere in the continental USA. 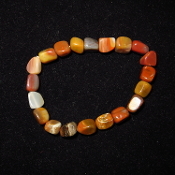 This is an AZ Petrified Wood and Sterling Silver bracelet. The stone measures 12mm. This item ships free anywhere in the continental USA. 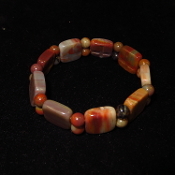 This is an AZ Petrified Wood and Sterling Silver bracelet. 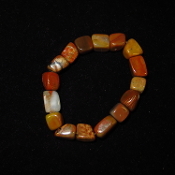 The stone measures 25 x 18mm. This item ships free anywhere in the continental USA. This is an AZ Petrified Wood and Sterling Silver bracelet. It has 5 stones that are 20mm. This item ships free anywhere in the continental USA. This is a Navajo made AZ Petrified Wood and Sterling Silver bracelet. The stone measures 30mm. This item ships free anywhere in the continental USA. This is a Navajo made AZ Petrified Wood and Sterling Silver bracelet. The stone measures 25mm. This item ships free anywhere in the continental USA. This is an AZ Petrified Wood and Sterling Silver bracelet. The 6 stones measures 15 x 20 mm. This item ships free anywhere in the continental USA. This AZ Petrified Wood chip stretchy bracelet ships free anywhere in the continental USA. Each piece will vary. 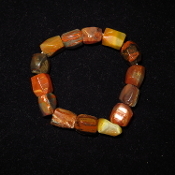 This AZ Petrified Wood tumbled stone stretchy bracelet ships free anywhere in the continental USA. Each piece will vary. This AZ Petrified Wood reversable stretchy bracelet ships free anywhere in the continental It has crosses carved on one side. USA. Each piece will vary.